As many of you know as a part of my daily routine I walk through the Waikoloa Queens’ Marketplace. Since opening in 2006, there has been an undeveloped retail space which I am happy to say will soon be changing. After a little investigative work, I was able to find out that Kuleana Rum Works will be opening there soon. I recently had the pleasure to talk with the co-founder and CEO Steve Jefferson and learned more than I could have imagined about rum and the process to get from kō (heirloom Hawaiian sugarcane) to the rum they will be proudly serving at Kuleana Rum Works soon. Born and raised on the Island of Hawaiʻi in 2013, Kuleana Rum Works shares a passion for exquisite rum while creating a thriving local business that celebrates the richness of Hawaiʻi. Their intent is to get people as stoked about high-quality rum as they are by making rum from the best ingredients on Earth without added sweeteners, flavors, or colors. Uahi a Pele (Smoke of Pele) kō in my yard. As serious rum lovers, they make super-premium rum in two ways. First, they distill fresh Hawaiian sugarcane juice into elegant rum agricole. Because rum agricole requires expert crafting and fresh sugarcane, less than five percent of the world’s rums are made this way. 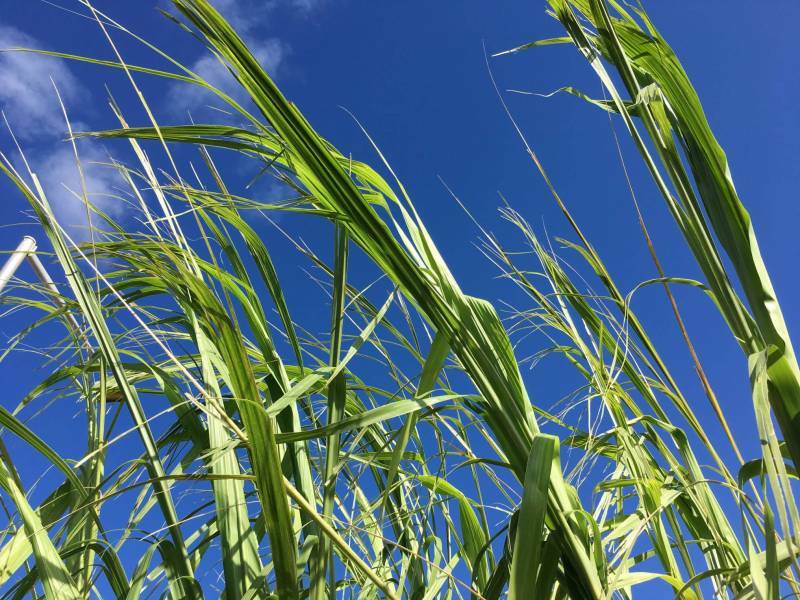 At Kuleana Rum Works, they hand cut and juice 40 varieties of kō (heirloom Hawaiian sugarcane), each with its own color and flavor profile, which they grow on their farm in Kohala, Hawaiʻi. The distillers then make it into Kuleana Hawaiian Rum Agricole, a deep, delicious rum at the distillery in Kawaihae. They then put some from each batch into Cognac barrels to age and eventually become their Hawaiian Aged Rum Agricole. Second, they blend rums from around the world which are carefully chosen for their purity and rich taste into delicious and flavorful rums that make cocktails and lips sing. Their Huihui rum blends a delicious, light, molasses-based Papua New Guinea rum with their Kuleana Hawaiian Rum Agricole and an exceptional Agricole from Martinique to create a super drinkable rum that has more than a hint of exotic. Nanea is their aged blend and is made by blending three carefully selected, variously-aged rums from around the world to deliver superb depth, balance, and character. The Kuleana difference is that none of their rums have any added sweeteners, flavors or colors, a claim that the vast majority of rums sold in America cannot make. They also take very seriously the kuleana (right, privilege, concern, and responsibility) of creating a Hawaiian product and company, that honors Hawaiian heritage by using Hawaiian resources wisely, choosing only the highest quality Big Island ingredients, and operating as an ‘ohana, caring for each other. Kuleana Rums will be available for sale in December in the brand new Kuleana Rum Shack, in the Queens’ Marketplace on the Big Island of Hawaiʻi. This world-class bar and family restaurant will be operating in collaboration with the team at Umeke’s Restaurants. In choosing a partner for the Rum Shack, Kuleana Rum founders sought a company that shared their philosophy of kuleana. They looked for a successful, experienced restaurant company that created food with deliberate intent and personal accountability, using the highest quality Big Island ingredients, and that produced meals that both locals and visitors appreciated. The choice was Umeke’s! Nakoa and his team helped create a menu that offers real, local food in the Kuleana Rum Shack that comes from the Big Island. When customers dine at the Kuleana Rum Shack they will savor food that people of this island have been eating in their own homes for generations while also enjoying outstanding and unique cocktails made with Kuleana Rum and other world-class spirits. Not sure if you like rum? Come to the bar in the Kuleana Rum Shack and let their expert bartenders educate you on this fascinating spirit by taking you through a rum tasting. After becoming completely smitten with Kuleana Rum and the amazing cocktails you can make with it, you will be able to buy bottles to take home with you in the Kuleana retail space right in the Rum Shack. The team at Kuleana Rum Works is thrilled to be building a truly Big Island company by farming in Kohala, distilling in Kawaihae, serving in the Queens’ Marketplace and partnering with Umeke’s. Please come enjoy real, local food and taste the Kuleana difference in the best cocktail of your life. See you there! Great and exciting info Linda. I’m super stoked they are partnering with Umekes. > I am too Lisa ! One more place to have lunch when working from the office. What a great article. I’m Planning a trip back and can’t wait to check this place out. I too, walk that Area when visiting and look forward To trying The rum! So looking forward to the opening! Can’t wait to check it out. I wish this was open when we were there. Might have to make a trip back!? Next time I’m on BI I’ll have to check it out.